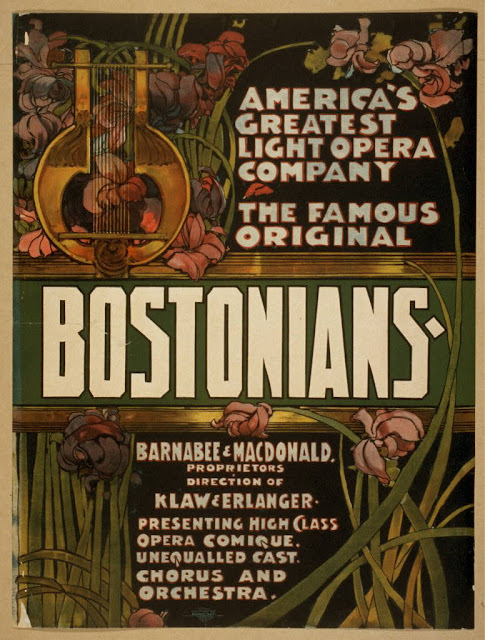 Title: The famous original Bostonians America's greatest light opera company. Medium: 1 print (poster) : lithograph, color ; 71 x 53 cm. "Barnabee & MacDonald, proprietors, direction of Klaw & Erlanger presenting high class opera comique, unequalled cast, chorus & orchestra."